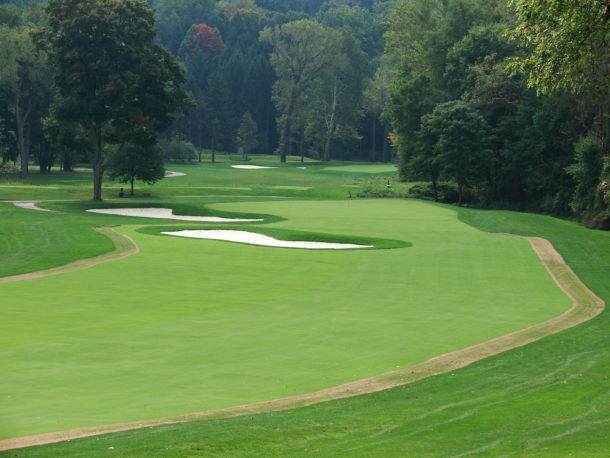 I’m excited to talk with Golf Course Architect Jim Nagle of Forse Design regarding the restoration of a Gem by the name of Kirtland CC. Ohioans know of this titan designed by Golden Age Architect Charles Hugh Alison, but few outside the state know where to go to look for the good stuff! Jim and Ron have made a successful career in restoring Golden Age courses and this isn’t their only Alison course. 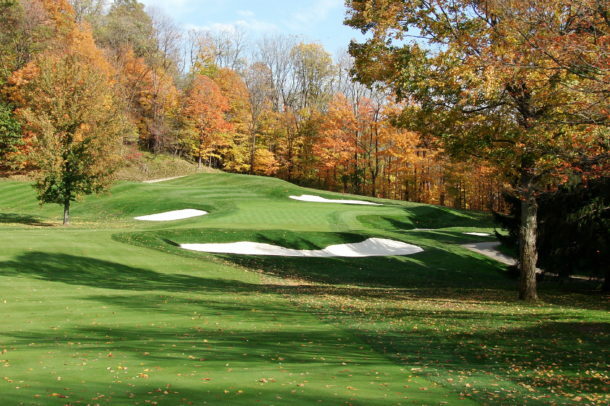 The Society is fortunate to be playing Kirtland in a few days and will experience the course first hand. Some nice tidbits from Jim could never hurt. TWG- What is your opinion regarding grass or flash faced bunkers at C.H. Alison golf courses? I believe that Alison courses are best preserved in Japan. Are they predominately grass or flash faced? Great question to start the discussion on Charles Alison and one that Ron Forse and I struggled with leading into the restoration/renovation of Alison’s Davenport C.C. We were familiar with early photos of Kirtland which showed a predominately flashed bunker style and the early photos Hirono and Sea Island revealed the same. At the time we were seeing a stronger preference for flashed faced bunkers and not grass faced bunkers. When we finished our restoration of Davenport we opted for the flash look. However, when we started the restoration at Kirtland, the team (Club, Maintenance, and Forse Design) all settled in on a semi-flashed bunker style. 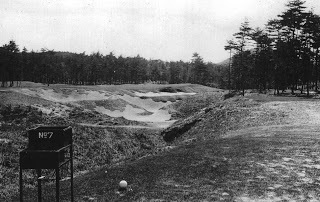 Kirtland originally had a combination of flashed and grass-faced bunkers throughout the course. Those bunkers that were entirely flashed were likely to present a problem with wash-outs and something the club was attempting to reduce. We all felt that reconstruction of all the bunkers in a semi-flashed appearance was most suitable to meet the end needs of the club and maintain architectural integrity throughout. That particular style suited the maintenance practices, intended budget and appearance for the course. So, I guess that’s a long way of still not answering your questions. I like the appearance of the flashed bunkers at Davenport. 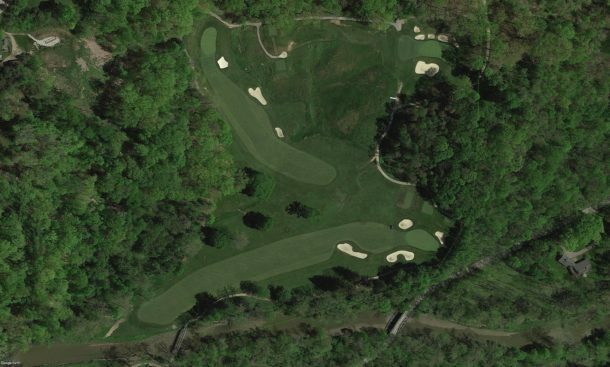 I also really like the semi-flashed bunkers at Kirtland. No strong preference for one over the other, but ultimately depends on the site and original design. TWG- I’m excited to play Kirtland again. I feel that the front 9 which has great rolling land gets overlooked by the back 9 which has severe elevation changes. I think I prefer the front 9, how do you and the membership view the two nines regarding preferences? I can’t speak for the membership, however, I do not have preference of one nine over the other. Each nine has a nice combination in lengths of holes, both nines have holes which require proper placement of tee shots to approach the greens (1, 5, 7, 9, 12, 13, 14, & 18), and the greens can be equally demanding throughout. I do give a nod to the front nine when considering the par 3’s. The diagonal alignment of the 3rd and 6th greens creates greater interest and potential for heroic carries depending on the hole location. The 11th and 17th are open to the front and lack the diagonal alignment. We evaluate courses and golf holes based upon three elements: Strategy, Naturalness, and Variety. Strategy and Naturalness are obvious, but Variety comes in many forms. The lengths of holes with a particular par group; the locations of green side bunkers; doglegs; routing direction of holes; fairway bunker placement and use of land within the routing. Both nines have an abundance of these three elements. TWG- How much emphasis do you put into proper tee placement for strategy when restoring the course? Does it vary depending on which Golden Age Architect you are restoring? Tee placement is just as important as bunker placement or other intended hazards. The relocation of a particular tee or its distance from a hazard can compromise or eliminate the design intent or strategic elements. Alignment and distance are critical. 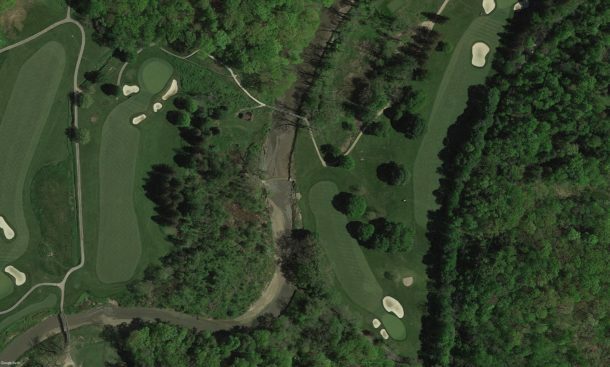 TWG- I believe the current pond that is shared on the 3rd and 6th holes was a ditch originally? I’d really LOVE to see that feature restored Do you or any members want to relocate the irrigation/retention pond on another area of the course? To date this has not been discussed. Personally, I am fine with the pond in its present location. The pond is situated in a low area allowing for collection of storm water and sits naturally within its surroundings. The only other available land within the property which can provide the most efficient watering system is the triangulated area between the 2nd and 7th holes. The old pump house was situated below the 13th tee and was constantly flooded and a real detriment to the club. Once the new irrigation system was designed the pond at #3 and #6 became the primary storage pond for the entire course. We do not see the pond moving any time soon. TWG- How is the tree removal process going at Kirtland? Have you cut down as many as you would have liked? The tree management program is progressing in the right direction on the course. As with many tree programs, it is on-going. I am especially fond of the work that has occurred on holes 10-17. When we started working with the Club in the early 2000’s the lower holes were very heavily disguised behind massive stands of trees. The course looks and plays much better as the tree program has continued and will continue to do so as the years pass by. 2003 and 2017 images of the tree management implemented between the 15th, 16th, and 17th holes. TWG- Alison greens are known for having tilt verse bold internal contours. How do Alison greens stack up to other Golden Age Architects that you restore? 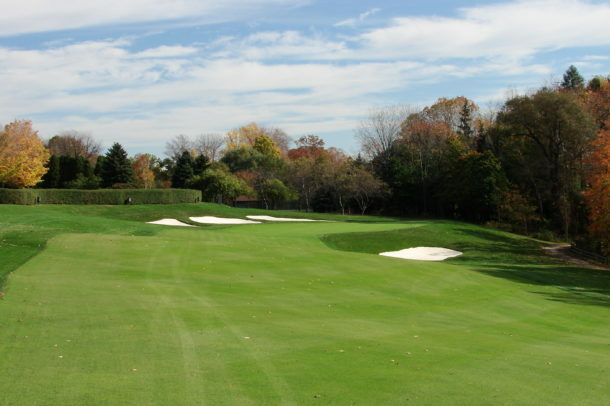 How do Kirtland’s green compare to other Alison courses that you have seen/played? I think Alison greens stack up very well against other Golden Age Architects. I find his greens to be very similar in nature to William Flynn. You could categorize their greens designs as- Apparent simplicity but actual complexity. When you first glance at the greens, one finds them to be much more challenging than they appear. The greens at Kirtland are comparable to those at Davenport C.C., a very fine Alison course which deserves more recognition than it gets. I also saw similarities to some of his greens at the Chevy Chase Club in Maryland. Golfers may find a more heightened first impression of greens at MacKenzie, Park Jr, Ross, or Travis but time spent on Alison greens will reveal a different kind of genius. TWG- Since your work started at Kirtland, have more of the members taken an interest in learning about C.H. Alison? We would like to think so. However, those members on the green committee or planning committee appear to have a greater appreciation beyond when we started there. 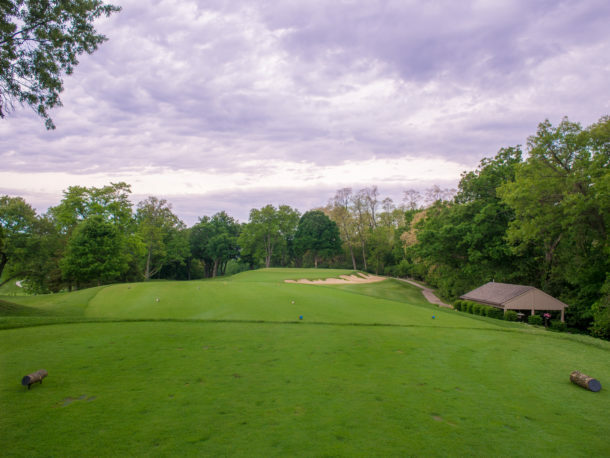 TWG- What are some of the nuances at Kirtland that you find great, that someone might not see their first time around the course? See the response to #6. Angles- Although many holes play relatively straight there are preferred angles to approach the greens. 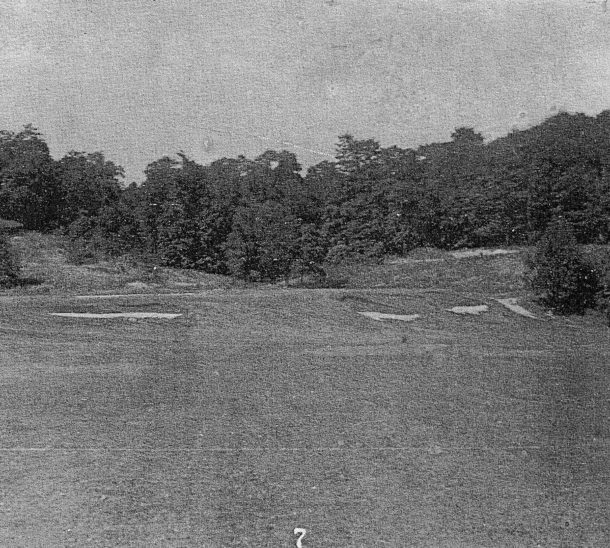 His use of fairway bunkers, albeit limited, and out-of-play areas (O.B.- Holes 4, 7, 8, 10, and 14) revealed many of those preferred lines. The alignments of many greens reinforces the need for the proper approach. No doubt technological advances in equipment diminish many of those intended strategies, but on some holes the penalty is still present if wrong off the tee. 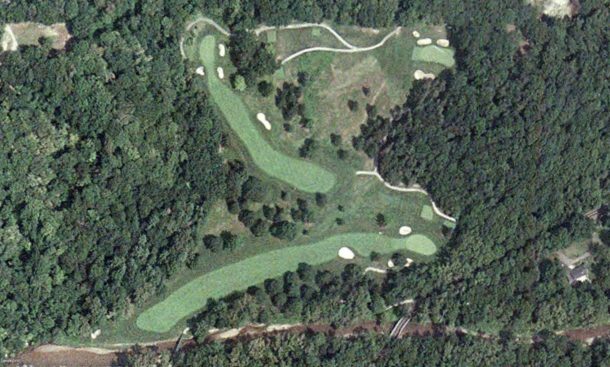 TWG- The 11th hole at Kirtland has some flooding issues I’ve been told, is there any long range plan to improve that? It’s quite an unfortunate situation with limited solutions. Raising the green is not a option. Designing a new hole and eliminating the 11th from the routing is not an option. To date, minor attempts at reducing the frequency have be attempted by adding a small berm in the approach. Any significant improvements will require years of permitting, engineering fees, waivers, and bureaucratic red tape. 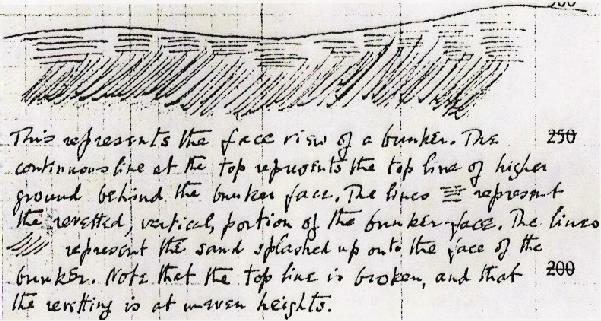 TWG- I think Alison was one of the best at using land to create bunkers that served a purpose. Many Golden Age courses were over bunkered in my opinion. Alison bunkers seem to have a purpose in providing strategy first, while fitting them into the land beautifully. He killed 2 birds with one stone imo. How do you see it? I touched on it briefly with the response to #8. Today’s definition of a minimalist is someone who creates a very natural, eroded looking golf course. I would consider Alison to be a minimalist, but in a different sense- limited use of fairway bunkers. Very skillful at the strategic placement of bunkers without excessive use. 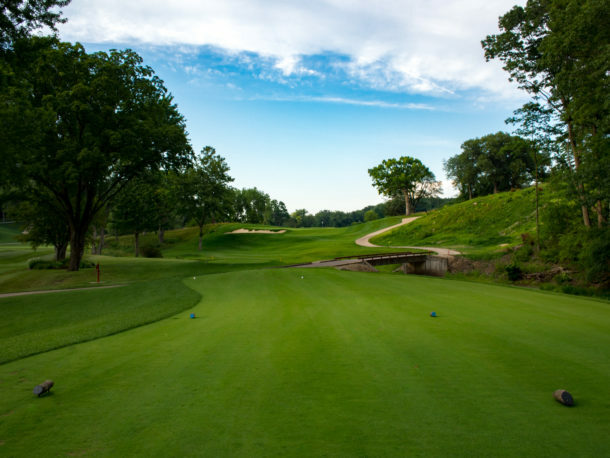 TWG- What is your favorite hole on the course and why? Which hole is the most underrated? I’m a sucker for the strategic devilish short par 4’s. Not necessarily drivable, but one that grabs the golfers attention. That’s the 13th at Kirtland. An elevated tee shot to a rather non-descript fairway void of any bunkers. Play left and the green is not nearly as receptive as playing to the right where the green opens up. Tee shots played to the left require a carry over a deep bunker guarding the left side. Left is the shorter play, but not always the best play. The fairway was wider to the right and our hope is to expand the fairway closer to the river and river bank reinstating a long lost strategic component. The green is also one of the smallest on the course. Hard to say which hole is the most underrated. Many golfers will often overlook the 1st hole as they are simply wanting to get off the tee and get their game underway. I do believe the 1st at KCC is a magnificent starting hole. A precursor of what is yet to come. Strategic angles, wide fairway, rolling alluvial topography, deep bunker and a deceptive green. That pretty much sums up Kirtland and golfers haven’t even set foot on the 2nd tee. TWG- What was your favorite change after the restoration and why? We’re not done! To date it has been the green expansions. My two favorite expansions have been to the 12th and 14th holes. Both expansions captured long lost hole locations tucked close to hazards and in some cases the expansions reinstated a two club difference into the approach to a green. I am particularly fond of the restored irregular outline to the 14th hole. 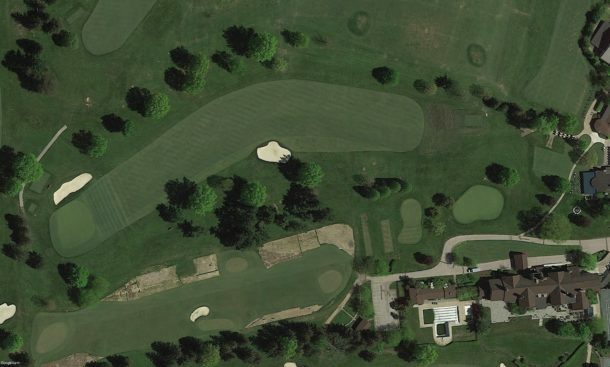 As an architect I believe that the green expansions are the critical component to a successful restoration project. A quality design starts at the green and works its way back to the tee. Why reinstate or restore bunkers and fairway widths without recapturing the tucked hole locations and internal contours of the greens. To me it seems very shortsighted. 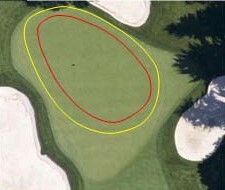 The yellow line designates the size of the 14th green prior to expansion. The red line represents the approximate limit of hole locations prior to expansion. What was your main takeaway after studying C.H. Alison and his philosophy? Similar to what I have taken away from William Flynn- simple is better. That is not to say their courses are simple designs, not by any means. They both were routing geniuses who took advantage of what the land offered and presented a course that fits so beautifully onto the natural topography. Their bunkering, on some not all, was placed with purpose and not used in excess. Their greens can be studied and played time and time again, yet a later visit or round reveals something new. Jim, thanks for taking the time to answer some questions for us on Kirtland and C.H. Alison.